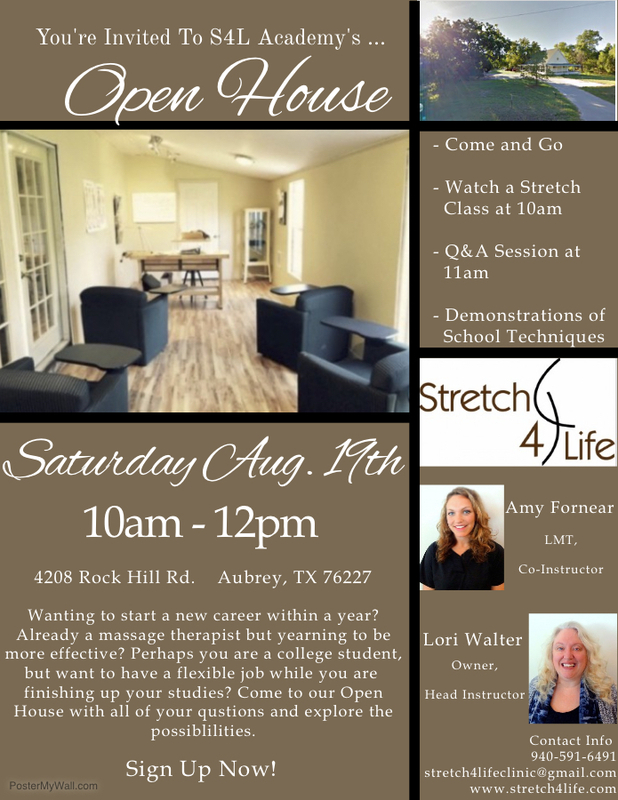 We are hosting our second Stretch 4 Life Academy Open House this summer on August 19. If this is a program you are interested in but have more questions, this Open House is created just for you! We will go over the syllabus, coursework requirements, cost breakdown, Fall 2017 – Spring 2018 course dates, and much more! Snacks and beverages will be provided. Call and sign up at (940) 591-6491. We have received so much interest in the course this year and are looking forward to teaching the S4L Class of 2018!